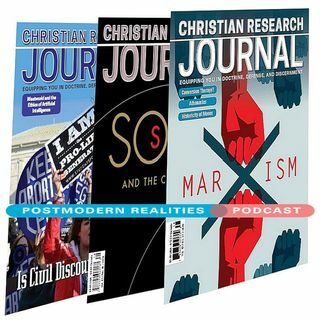 Postmodern Realities Episode 040 - "Is the Black Man God? Challenging the Central Claim of the Nation of Islam"
During the 1950s and 60s, Americans were confronted with a unique time of racial conflict. African Americans organized a movement to challenge the racial caste system in the nation. Amidst this largely Christian movement were African Americans who were disillusioned by Christianitys complicity in their experience of racial terror. Many of these people joined the movement known as the Nation of Islam NOI. Those two decades mark the zenith of the NOIs recruitment and activity. Although presently ... See More the numbers have dwindled, there are signs of continued influence in African American communities such as the continued ministry of Minister Louis Farrakhan and the twentieth anniversary of the Million Man March held in October 2015. One of the fruits of Farrakhans ministry is Dr. Wesley Muhammad, who has defended the doctrines of the NOI using his academic training in the area of religion. In the past, the myths taught by this group were seen as fanciful and easily rejected by the intellectually minded individual. However, Muhammad seeks to legitimize the teaching that the black man is God. This defense, however, although claiming to be founded on a historic Afrocentric philosophy, departs from the majority of African thought on the nature of God. Muhammad also bases his theory of the development of anthropomorphic understandings among philosophers on his presupposition about traditional Jewish hermeneutics rather than the history of interpretation of the Bible. Finally, he seems to miss the fact that his own explanation about an ontologically immaterial being conflicts with NOI orthodoxy. This podcast episode is a conversation with author Jimmy Butts as he answers questions including: What is the historical response to the Nation of Islam that Christians need to avoid? Why would some people accept the claims of the NOI that some would describe as outlandish? Why should Christian apologists have NOI apologist Dr. Wesley Muhammad on their radar? Who is Elijah Muhammad and why does he characterize the God of Christianity as the spook god? How does the NOIs doctrine of God influence their doctrine of the devil? How can churches prepare their members to engage adherents of NOI?